On May 29th, Liberal MP Scott Simms (Bonavista—Gander—Grand Falls—Windsor) introduced a private members bill, bill c-516, that proposes to modify the Copyright Act to create an “artist resale right” for authors of copyright protected works. The resale rights (also known as a “droit de suite”) would allow an author to be remunerated not only for the first purchase of a copy of their work, but for every subsequent resale of that work. The droit du suite came about at the end of the 19th century in France as a response to a case in which the owner of a painting sold it for a hefty sum while the artist who painted it lived in poverty. The droit de suite is a theory that runs directly counter to the “first sale doctrine”. 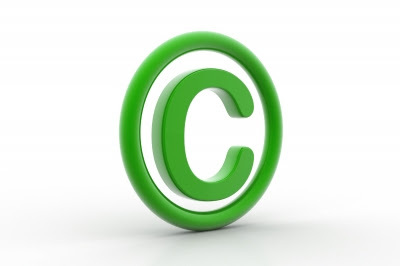 This Common Law doctrine dictates that a copyright owner’s right to remuneration is extinguished after the first sale of a copy of a protected work. The first sale doctrine comes from the Common Law principle that restraint on the alienation of tangible property is to be avoided. The doctrine was first cited by the US Supreme Court in Bobbs-Merrill Co. v. Straus (1908) and was later codified in the American Copyright Act of 1909. Today, the European Union, Australia and the Philippines have resale rights legislation. The State of California also had a resale right law on the books until it was struck down by the U.S. District Court (Central District of California) on May 17, 2012. Judge Jacqueline H. Nguyen found the law to be unconstitutional because it encroached on the Federal power over interstate commerce. This decision is currently being appealed to the 9th Circuit Court of Appeal. The bill is presently in its first reading before Parliament. It proposes to grant authors the right to capture a 5% royalty in any subsequent sales of a work where the value of the transaction is $500 or more. This resale right is not limited to the first subsequent sale, but to all subsequent sales of the work while the work remains in copyright. The resale right may not be waived by the author and is not transferable. The onus is on the seller of the work to report and pay out the royalty. The bill mandates that royalty collection be carried out by a collective licensing society. - Authors in other countries that offer similar resale rights to Canadian authors in their home jurisdictions (namely the EU as mentioned above). Though the resale right is not transferable inter vivos, the right is transmissible upon the death of the author. The right passes to the person to whom it was expressly bequeathed; or, failing that, the person to whom the copyright in the work has been bequeathed. While the chances of this legislation passing are slim, this initiative represents a potential shift in Canadian copyright policy towards the EU. This proposed change to the Copyright Act is more than likely related to the ongoing negotiations taking place between Canada and the EU on the “Canada-EU Trade Agreement” (CETA) in which the EU is putting pressure on Canada to once again amend its intellectual property laws to come into line with their own. Though this iteration of the resale right may not pass, interested parties should keep watch as the negotiations over CETA progress. It is quite possible that a similar amendment may be introduced in the near future; though next time, it may come from the government’s side of the aisle.